"Acadia National Park, Cathedral Rock, Bar Harbor, Mt. 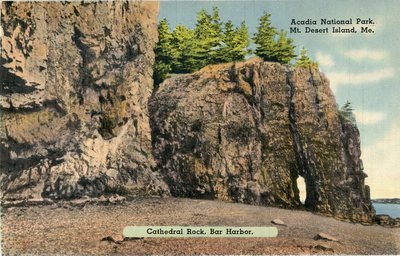 Desert Island, M . . ."
Image scanned from a color postcard shows Cathedral Rock on the shore of Bar Harbor, Mount Desert Island, Maine in Acadia National Park.